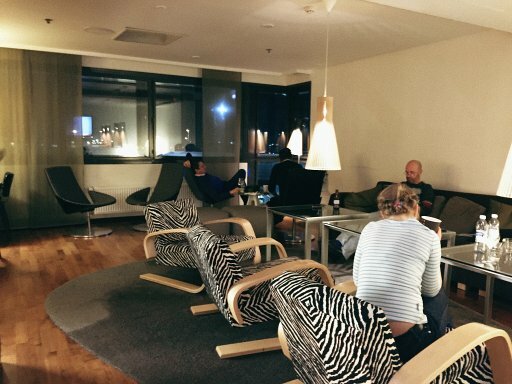 Having decided to fly from Tallinn to Helsinki on Sunday evening, rather than catch the 06:05 am flight on Monday morning, we needed somewhere to stay on Sunday night before our flight back to London on Monday morning. 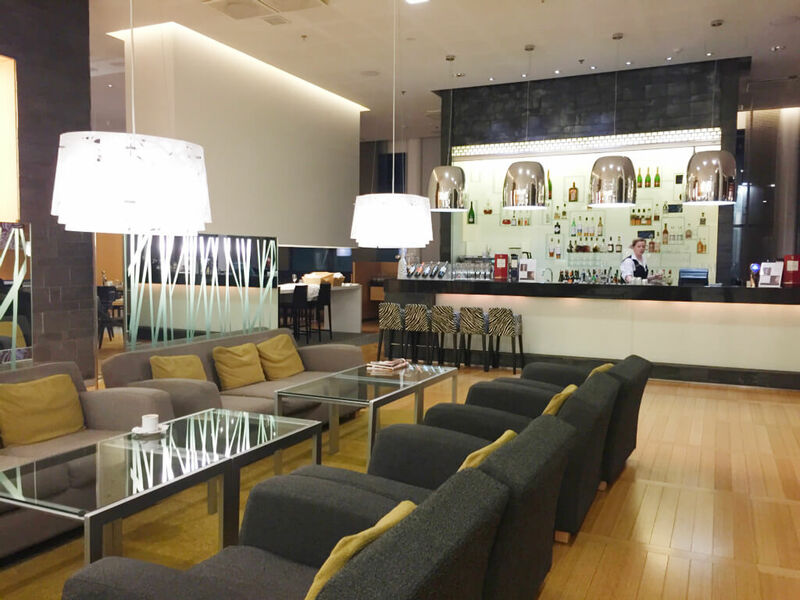 As we were only there for a brief stay, we chose to stay at the airport. There are two airport hotels. 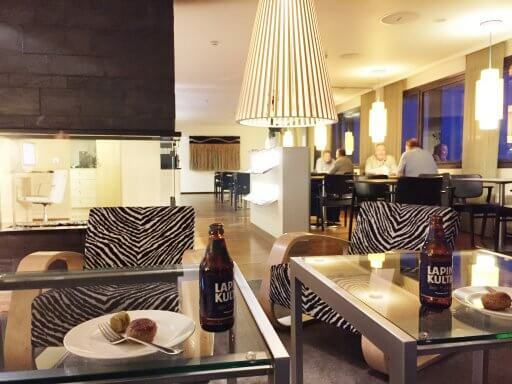 The GLO and the Hilton Helsinki Airport. As we collect Hilton Honors points, the Hilton was a natural choice. 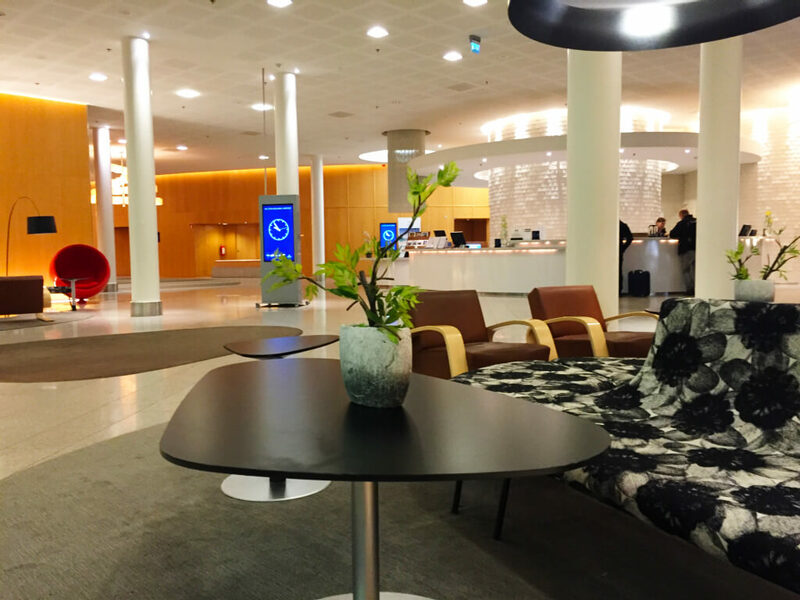 The great thing about the Hilton Helsinki Airport is that you can walk there in less than 10 minutes from your gate. 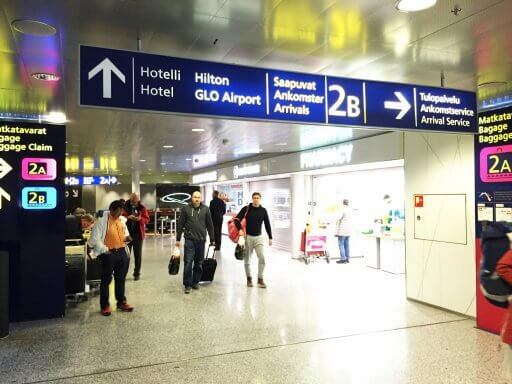 The bad news is that you need to leave the airport and go along a covered walkway to get there. Even in March, it was cold, so I wouldn’t like to think what it would be like in the middle of winter. The great thing about the Hilton Helsinki Airport is that you can walk there in less than 10 minutes. 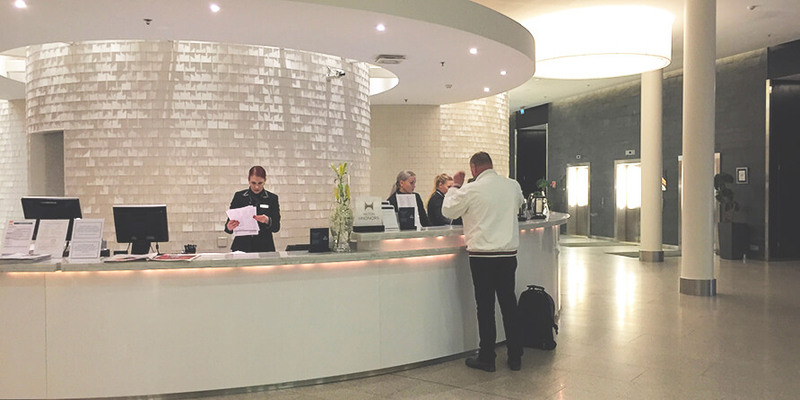 The first thing that struck us when we walked into the hotel was the impressive size of the lobby. It is a light and open space with a cool, contemporary design. 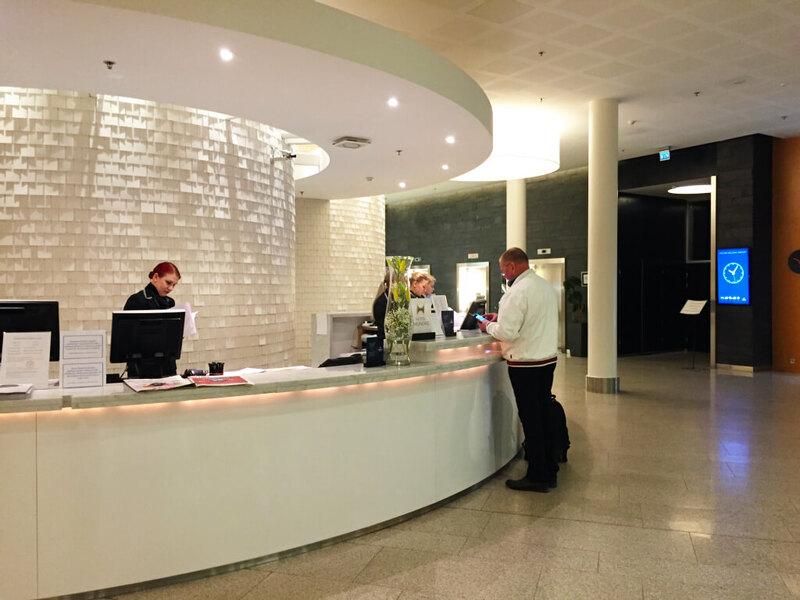 Reception is curved around the front office and it’s very white, putting me in mind of a wintery landscape. 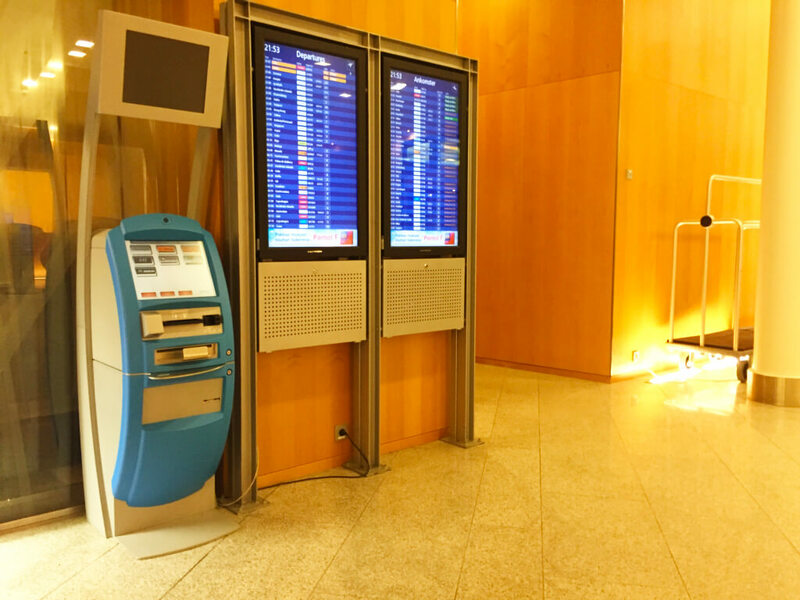 Other features in the lobby are comfy seating areas, a snack vending machine, airport departure & arrival boards and a self-service flight check-in machine. We had booked a King Executive Room on an Honors Discount rate. Check-in was friendly and quick. We were delighted to hear the magic words “as a Hilton Honors Gold member, we’ve upgraded you to a King Executive Plus Room with a private sauna”. 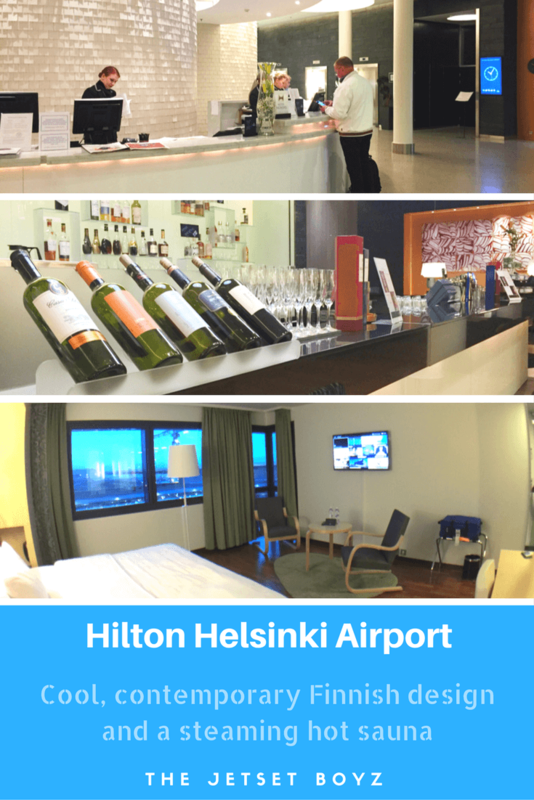 Our stay at the Hilton Helsinki Airport was off to a good start. 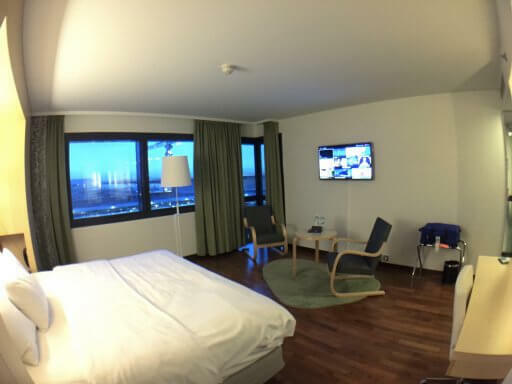 We made our way up to the 4th floor to find that we had a lovely corner room with views over the runway. 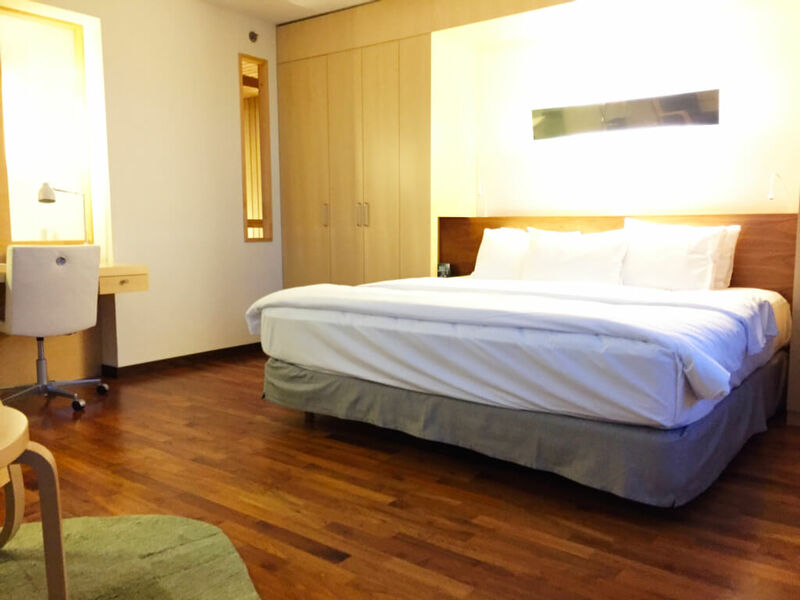 At 38 square meters, the room was spacious enough for us, especially as we were only there for a night. We thought that the way that the room was laid out was a clever use of the space. Often airport hotels have very limited facilities for hanging clothes. 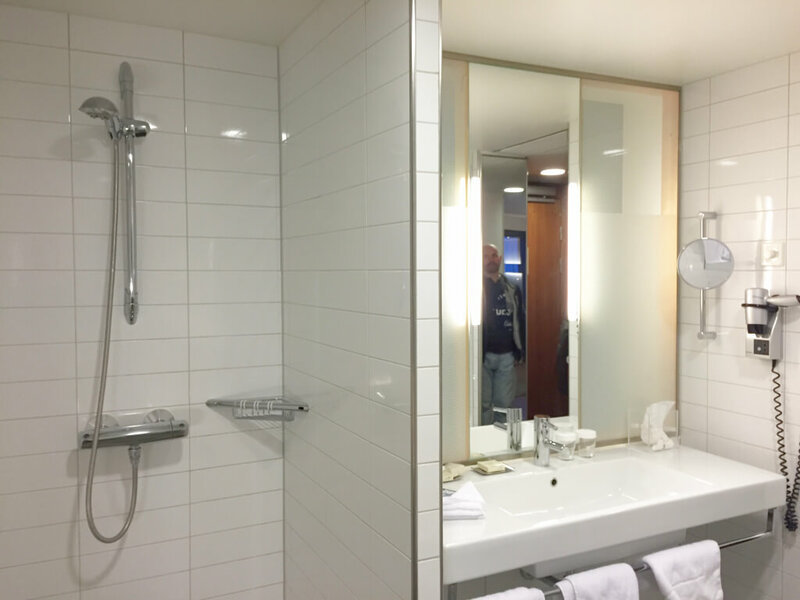 However, the Hilton Helsinki Airport Executive Room we were in had not one, but two wardrobes. These sandwiched the bed, with clever bedside tables that were recessed into the wardrobes. There were also plug sockets at both sides of the bed. The design was very Scandinavian, with lots of light wood throughout. The room had a desk, should you need to work and two easy chairs and a coffee table if you wanted to sit and relax. 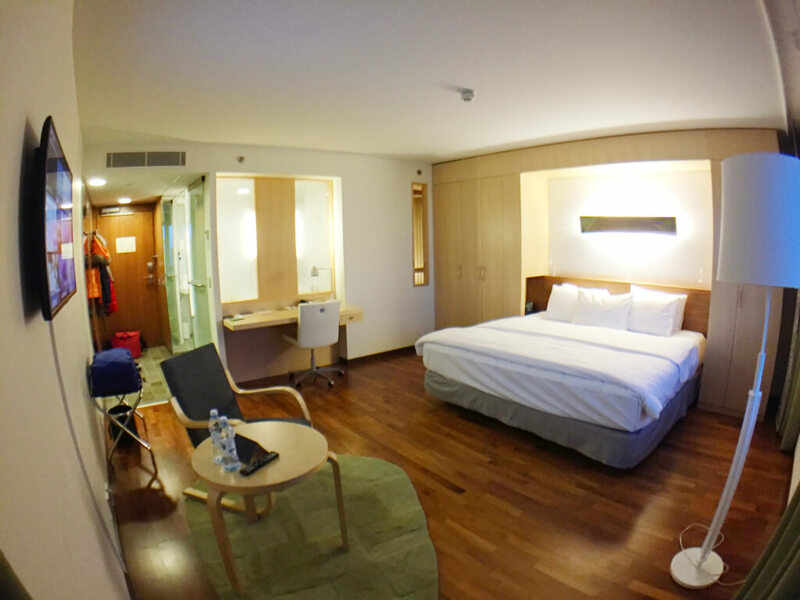 There was complimentary in-room WiFi and for entertainment, there was a 37″ LCD flatscreen HD TV. The bathroom was big enough, with a large sink, a bath and a walk-in shower. Also in the bathroom was our private sauna. Okay, so this was not huge, but was just the right size for two people. Having been upgraded to a room that had a sauna, it would have been rude no to try it out. The Executive Lounge at the Hilton Helsinki Airport is on the 5th floor. Access to the lounge is available to guests who are staying in Executive Rooms and the suites. Hilton Honors Platinum members also have access, regardless of the type of room they are staying in. The lounge isn’t massive but has a nice mix of sofas and tables. 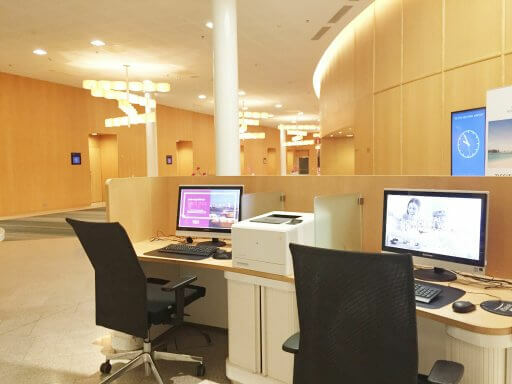 There is a computer & printer for guest use and a couple of TVs. To the left of the door as you enter is a large fireplace. 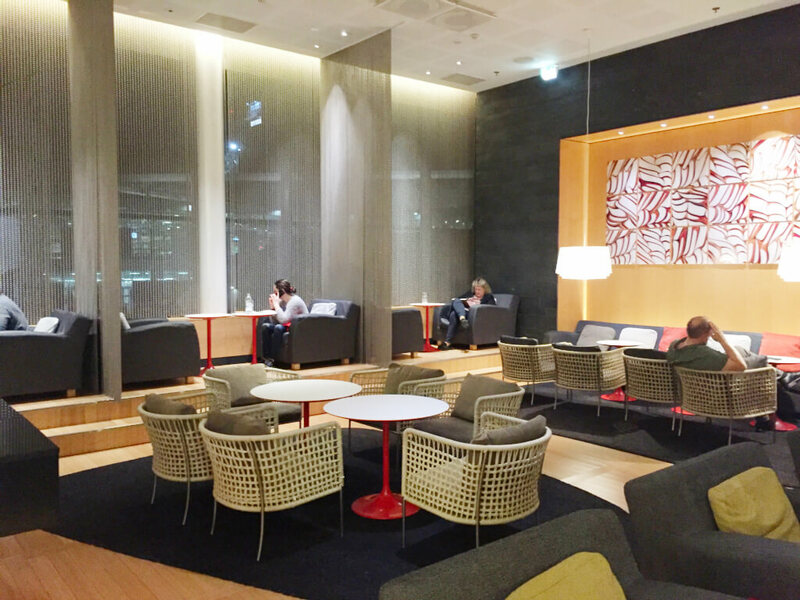 This acts as a partition between the area with the comfy seating and the rest of the lounge. The fire wasn’t lit while we were there. However, I can imagine that in the depths of winter the comfy seating area would be really cosy with the fire blazing. When we were there it wasn’t busy. However, there was a good selection of food and drink on offer. 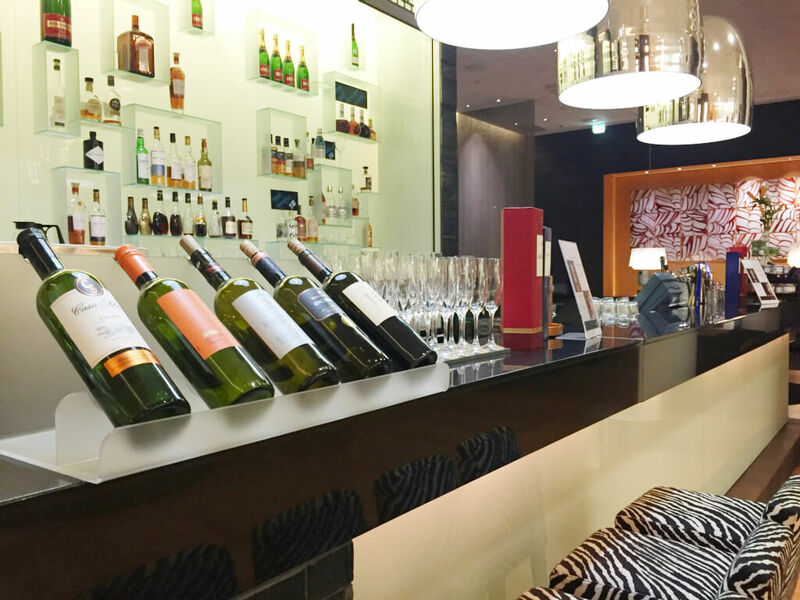 The lounge has a snack buffet from 6 to 8 pm and (alcoholic) drinks from 8 to 10 pm. 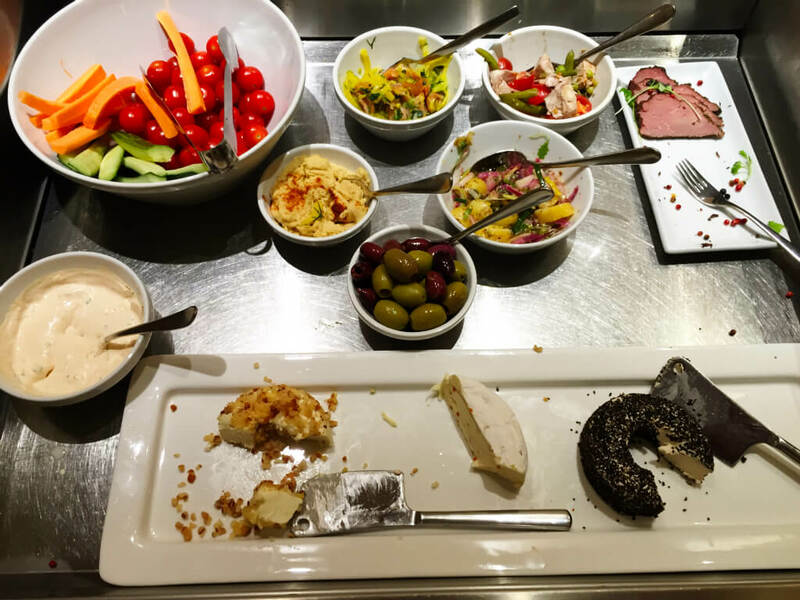 The snacks included cheese, cold meats and salads, along with some hot dishes. We particularly enjoyed the Finnish meatballs they were serving. Meatballs are a speciality in the Scandinavian countries, each having its own variation on them. Finnish meatballs, called lihapullat in Finnish, are traditionally served with gravy and mashed potato. After enjoying a couple bottles of Lapin Kulta, a crisp and refreshing Finnish lager, we made our way down to the restaurant for dinner. 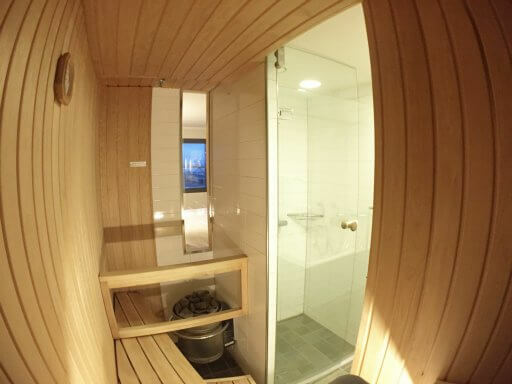 (We did, however, make a pitstop in our room to turn on the sauna as it needed some time to heat up). 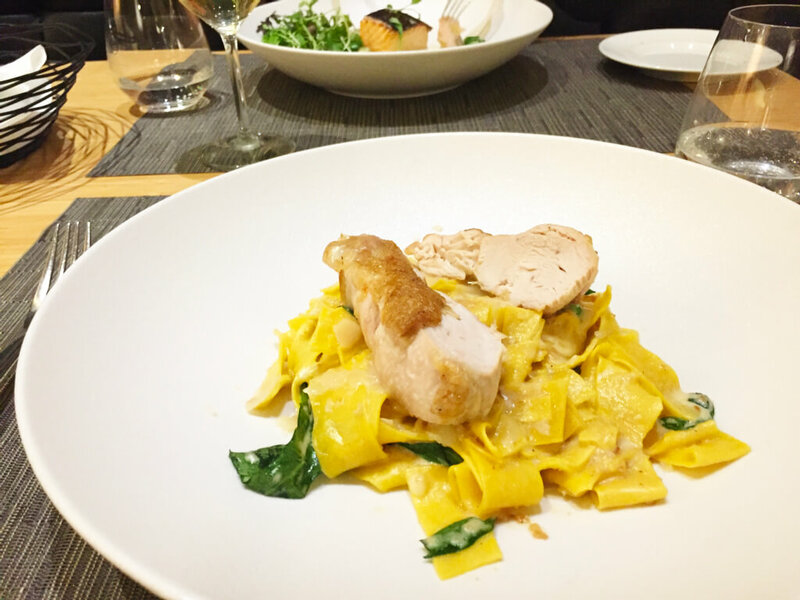 There are two main options for eating in the hotel – in-room dining or Restaurant Gui. 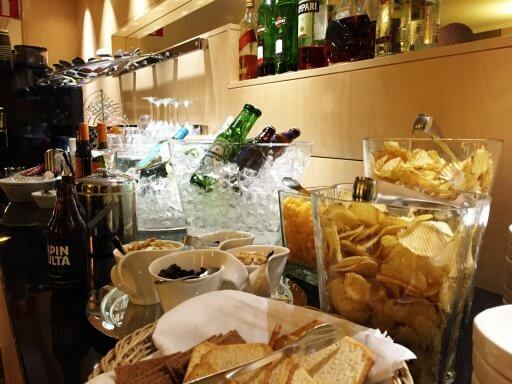 The bar also offers a few snacks, which are basically the same as the “casual food” list on the Gui menu. After walking to the entrance of the restaurant we experienced that awkward “hanging around” feeling waiting to be greeted. It’s probably a hangover from my days as a restaurant manager, but one thing I hate is walking into a restaurant and not being greeted straight away. Eventually, we were shown to a table and from that point, the service improved. The menu has a reasonable selection of meat and fish dishes, though only a few vegetarian options. 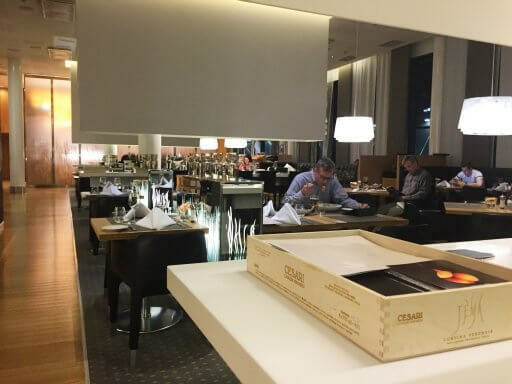 One of the things that I thought was interesting was that some of the items on the menu had a lower price for Hilton Honors members. 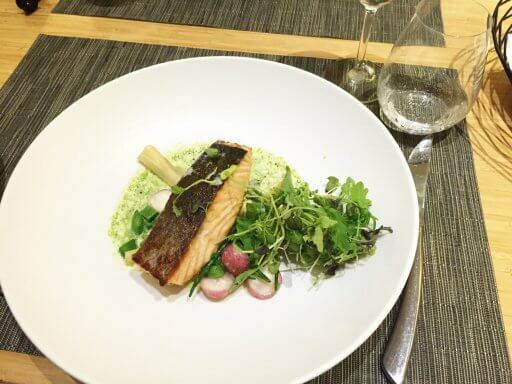 Bart opted for the Chicken Pasta with cashew pesto, cream and spinach, while I had the Grilled Salmon with spring vegetables, dill cream and herbs. Both dishes were tasty. While we ate there seemed to be a steady stream of customers coming and going, though it never felt busy. After dinner, we had a quick wander around the hotel to check out the other facilities. The Hilton Helsinki Airport has a large suite of meeting rooms and there are a few PCs located near the meeting rooms for guest use. 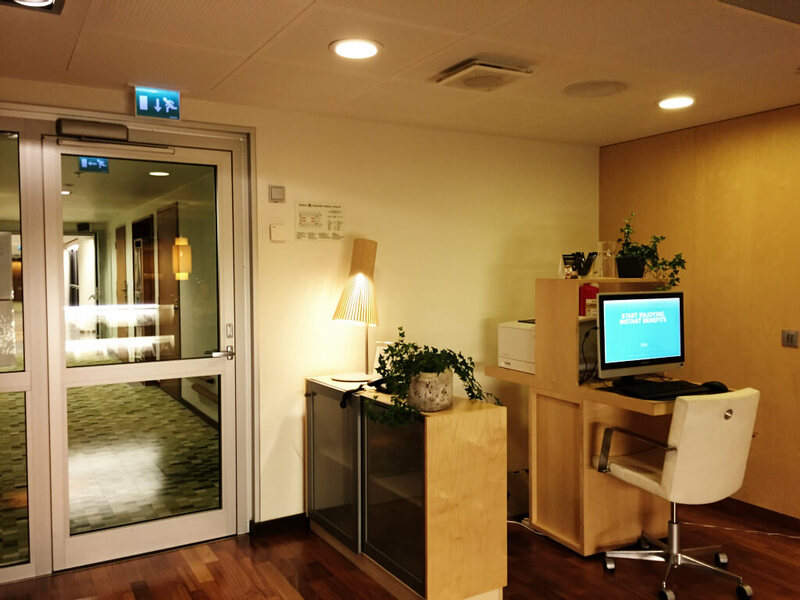 There is a gym, which has a selection of cardiovascular workout machines and also a sauna. After our little walk around the hotel, we went back up to our room and hopped into our sauna. By that time, it was well and truly hot and by the time we’d finished in there we were squeaky clean and ready for bed. Having the sauna in the room was a lovely feature and had we been at the hotel for longer we would definitely have got more use out of it. The bed was comfortable and we slept well. As our flight was 08:00, we weren’t able to linger longer and had to be up early. 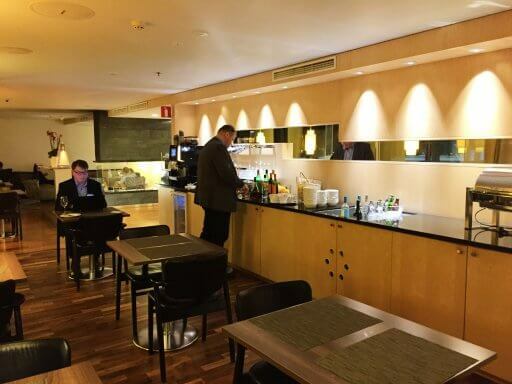 We didn’t have breakfast at the hotel, but had we wanted to, Hilton Helsinki Airport offers a cold breakfast service from 03:00 for those with an early morning flight, with the full breakfast service beginning at 06:00. Check out was quick and easy, so we were soon on our way to the Finnair Lounge to wait for our flight back to Heathrow. 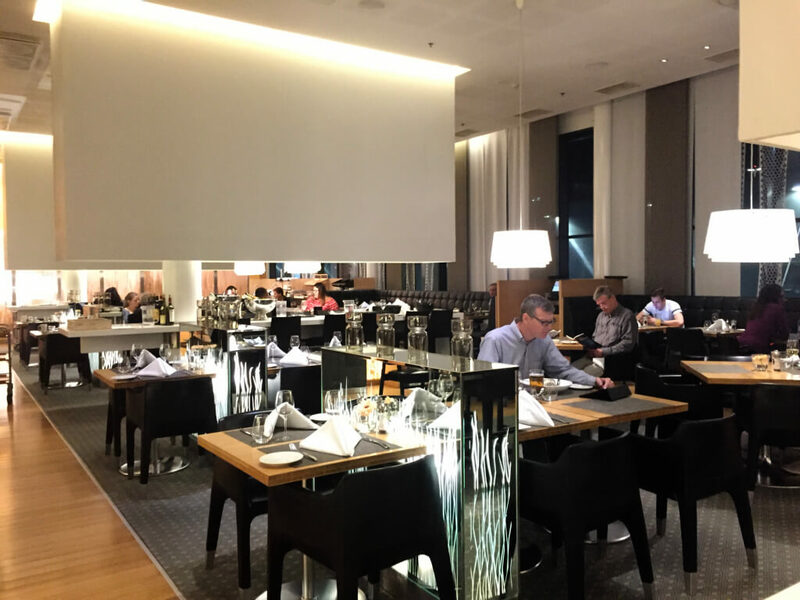 We’d had a pleasant, if short, stay at the Hilton Helsinki Airport. 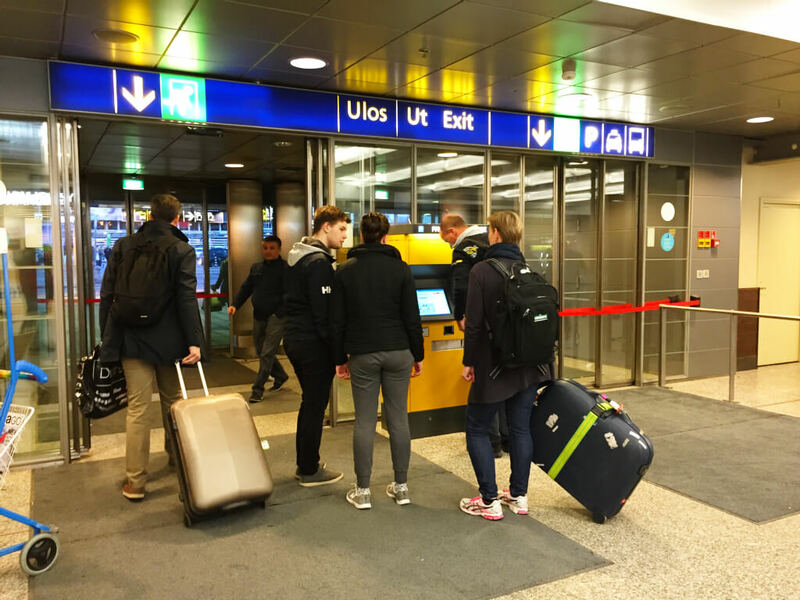 If you’re taking a flight via Helsinki and have an overnight stop, then it’s worth giving it try. We’ll stay there again next time we have a stopover in Helsinki. 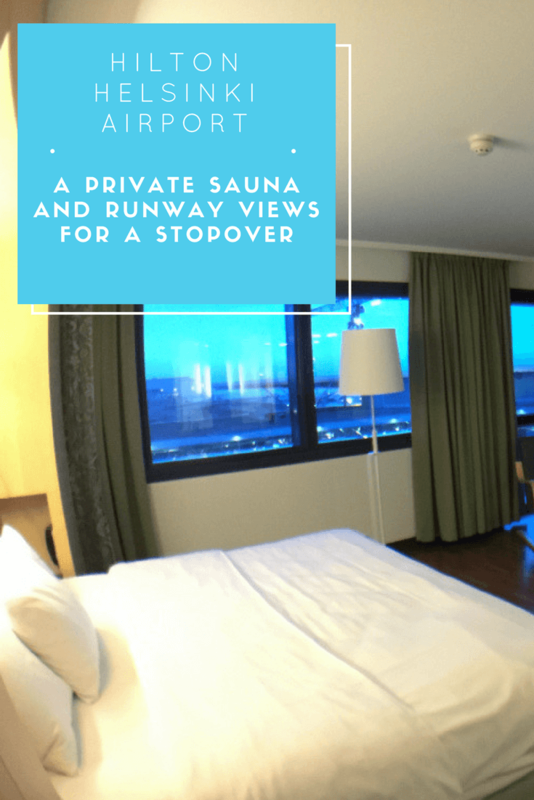 Some rooms at the Hilton Helsinki Airport come with their own private sauna. How cool is that?